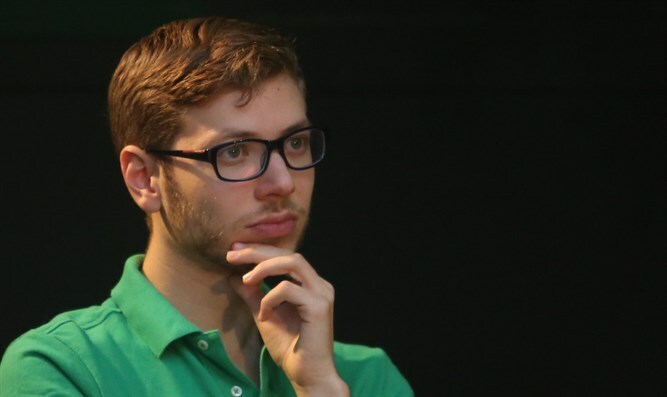 The Daily Stormer published an article supporting Yair Netanyahu, after the Prime Minister's son published a meme seen as anti-Semitic. The Daily Stormer neo-Nazi website published an article supporting Yair Netanyahu for publishing a meme on his private Facebook account that appeared to be inspired by anti-Semitic overtones. "Yair Netanyahu is a total bro," wrote Daily Stormer reporter Andrew Eglin, who went on to say that "this is one of those things that is just so fun, you feel really glad that it happened." "Like, the type of thing that makes you remember how thankful you are for having been born." Eglin gleefully pointed out that Netanyahu had accused Haaretz, who first reported the story, of being anti-Semites themselves. "Wow just wow" he said. "Just accusing each other of being anti-Semites." "That was always the fundamental problem with the concept of Israel: when you make Jews live only among themselves, they start feeding off of one another." The Prime Minister's son had sparked a storm Friday night, when he posted a meme on his Facebook account that bashed the Left, and was full of anti-Semitic overtones. The meme, titled 'food chain', showed Jewish anti-Israel billionaire George Soros controlling a hook-nosed Jewish figure with his money, who is seen controlling fervent Netanyahu critic Eldad Yaniv, former Netanyahu residence caretaker Meni Naftali, and former Prime Minister Ehud Barak. “Every Jew should feel a sense of horror and disgrace that a cartoon [in the] Der Stormer style came out of the residence of the prime minister of Israel and receives an embrace from [the] great anti-Semite,” Herzog wrote. Former Prime Minister Ehud Barak responded by saying that Yair Netanyahu should see a psychiatrist. "Is this what the kid hears at home? What is this, genetics or a spontaneous mental illness?" Barak wrote on Facebook.
" It doesn't matter. At any rate, it would be really worth it to pay for a psychiatrist for him, instead of a personal security detail and private vehicle," hinting to criticism Netanyahu has come under for retaining a government-funded bodyguard, unlike the adult children of previous Israeli leaders.